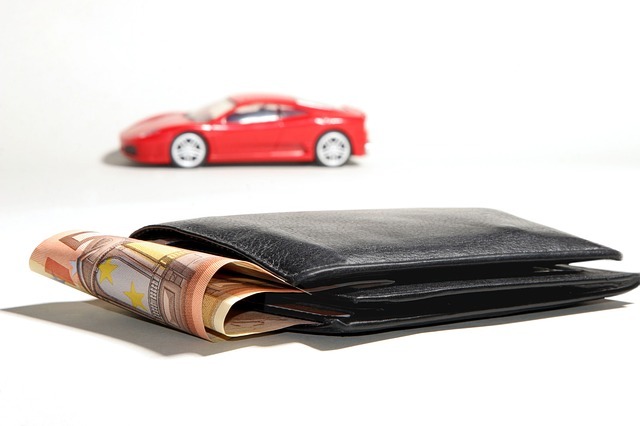 Owning a car can be expensive, but there are certainly a few ways you can cut down the costs. Let’s start by thinking about the issue of depreciation. There is no way to ignore the fact that cars depreciate at an exceedingly rapid rate. Essentially, you can buy a car worth around 30K, and five years later it could be worth less than half that. Although, it does depend on how well you look after the car. Still, many experts agree that financially, it’s never a smart decision to buy a car brand new. You are essentially, pouring money down the drain and that’s a problem because if you buy a second-hand car, you could have other issues. You might find that you buy a dud and that means you’ll have to spend a fortune constantly repairing it. So, the question is, how do you cut the costs out of owning a car? Well, while you can’t reduce the bills completely, it is possible to shave money off here and there. It’s fair to say that the insurance on a car can be a huge expense for owners, particularly high-end luxury vehicles. If you buy a supercar, you could be paying thousands in car insurance every year, so it is worth looking at ways to cut the cost. The first step is to compare different insurance policies. You should be able to find the cheapest one and examine whether they are offering the best deal. If they are, this is a great place to start to cut the cost of your insurance, but there is certainly more you can do. You can cut insurance costs by making sure that you are keeping your car safe when it is not in use. You’ll find that your insurance is cheaper if you can keep your car locked away, particularly at night. Those who leave their car on the street will find their insurance premiums are highest, particularly in the city. The reason for this is that insurance for cars is based on the threat of issues like theft. Obviously, a car on the street is easier to steal. You can even find that your driving affects your insurance premium. In the past, there have been reports to suggest that satnav data is passed onto insurance companies, but that’s not what we’re talking about. Instead, you might want to consider getting a black box for your car. Some insurance companies offer this possibility as a way to reduce premiums by freely giving data on your driving to the company. That way, they can make sure you are driving responsibly. Of course, if you buy a car, you can also explore the cheapest vehicles to insure. Generally speaking, cars that are cheaper to buy are going to be cheaper to insure. That’s another reason why you should consider purchasing one pre-owned. Will buying a hybrid cut the cost of your fuel? It’s certainly likely, but you might find that in some cases even though you’re using less fuel it can be more expensive. And although diesel actually uses less right now to get a better mileage there are pushes to get it taxed and possibly even banned in the long term. What you can do is change your driving behavior to lower your fuel. First, you should be careful about how fast you drive. Driving faster always uses more fuel, and if you constantly drive at seventy, you can easily burn through a full tank in just a few hours. Braking is another thing that uses more fuel on the road. The harder you brake, the more fuel you need to burn. So, driving safely and more attentively could actually save you money in the long term. On top of this, keeping your car well maintained can also reduce the fuel costs. For instance, you might resist changing your tyres because they do cost about eighty each to replace and that certainly can be a difficult, unexpected expense to handle. However, older tyres with less tread actually need more fuel to keep pushing them around on those roads. So again, taking action here could save you a lot of cash in the long run. There will be a time when you need to replaces parts of your car like the tyres, the brake pads or the wiper blades. If you want to save money, you should look for sellers of these items online rather than buying directly from the source that you bought the car from or the producer of the vehicle. You might find that you can get quality products for a fraction of the price and avoid yet another unnecessary expense. Of course, it’s also possible to save money on your car from loyalty. A lot of mechanics reward their loyal customers with better deals and lower prices. This benefits both the mechanic and the car owner. The mechanic ensures that they don’t lose a customer due to a cheaper competition whereas you as the customer can guarantee you are getting a great deal on servicing and spare parts. Of course, by looking after your car, you should also be able to keep it out of the mechanic shop as much as possible. The best way to do this is to make sure that you are treating it with the level of respect it deserves. Don’t forget a car is a very complex piece of machinery and it needs proper care and attention. Oil and water levels should be topped up regularly, the car should be cleaned at least once a month and checked over. You might think that a dirty car isn’t a major issue. However, it can hide the damage that could be expensive to repair or indeed even cause it. For instance, it’s possible that if you leave grime and dirt on your car, this can lead to rust and corrosion. That could make the vehicle more dangerous to drive or even lead to it needing an expensive and a drastic repair. We also can’t forget that the cost of driving can also be due to fines and expenses that can easily be avoided by taking more care and paying attention to the road. For instance, the average speeding ticket is around sixty. What you may not realize is that speed camera aren’t really monitoring your speed. If they were, they wouldn’t be clearly labeled and sign posted. Instead, they are measuring your attention. If you do get a speeding ticket, it’s likely that you weren’t paying enough attention on the road. As such, it’s in your financial interest to stay safe and keep both eyes on the road. As you can see then, there are lots of ways to get rid of the costs of driving and make things a lot cheaper for you. Whether that’s by driving more safely, more economically or just being more attentive when managing costs there are various possibilities.